I have been excitedly waiting for the day that this announcement would come. 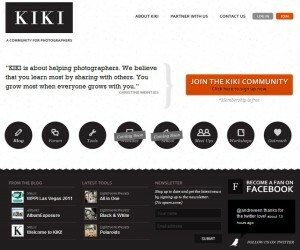 Cape Town based wedding photographer Christine Meintjes has launched KIKI which is an online community for photographers that she has been working on for some time now. I recall the first time we chatted over Skype and the excitement she expressed over the idea, it was tangible. Now the big day has arrived. I highly recommend signing up and becoming a part of what looks to be a great photographic community.